Say it ain’t snow race fans! Mother Nature dumped another big helping of snow this past week on top of southern Minnesota. 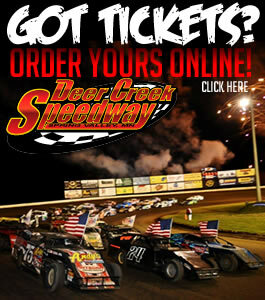 That on top of already an abnormal spring full of cold and snow has set things back once again at Deer Creek Speedway. Now the tentative plan is to try and have the practice session on Saturday, April 21. The 2018 season opener would be one week later on the 28th. Of course that is all dependent on the weather and when the pattern of cold and snow turns around. Bauer Built Tire & Hanson Tire Service WMDTC NOW PAYS $20,000 TO WIN!